Last year I blogged about MATE ‘s Monterey Bay Regional underwater ROV competition in Underwater ROV contest. I coached a robotics club at my son’s high school, and they built a small vehicle which they barely got into the water the day before the contest, because we started so late. Although my son is being home-schooled this year, we have kept the team going, losing one member and picking up another (so we still have only 3). The robotics club is no longer affiliated with a school, but that makes no difference, as all the school provided us was an inconvenient time to meet (lunch on Tuesdays) and 15 minutes in the pool once. We meet for 3 hours on Sundays at my house, which gives them enough time to get something done. I’m still paying the expenses out of my own pocket, and we now have the construction of the vehicle taking up about a third of our living room (the benchtop drill press is the first thing you see on entering the house, unless it is on the floor to make room on the robotics table for the scroll saw). 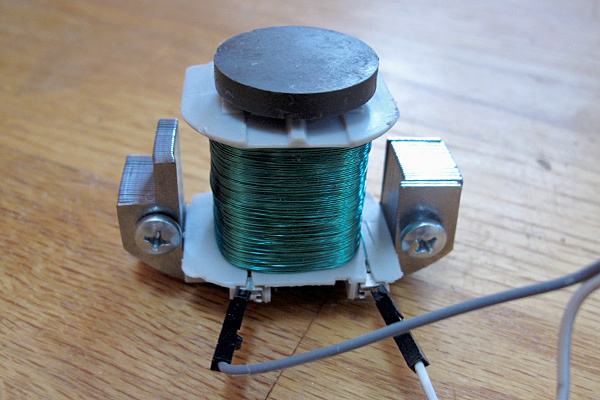 The students have made considerable progress since last year, having replaced the high-resistance tether and switch box with a low-resistance power wire and a dry box that will house an Arduino microprocessor with H-bridge chips. They’ve made the tether with a waterproof disconnect and have tested everything for water tightness (though only at bathtub depth, not 10 feet deep). I think that they’ll have the basic vehicle and electronics finished by the end of January, leaving some time for designing and building mission-specific tools, programming the Arduino and the laptop GUI, and learning to pilot the vehicle. Now we just have to find a pool to practice in. The club members have gotten much more independent this year, so my coaching involves my making some suggestions about what they should work on at the beginning of the meeting, checking to see how they are doing about once an hour, and having a discussion with them about what they’ll need to design or build next over snacks near the end of the meeting. I also try to get them to give me specific parts to buy, but I usually end up having to find and select parts for them. If the group were bigger (and my wallet more able to tolerate mistakes), I could have the students doing more of the purchasing. The challenges for this year have been published, and they are in the usual verbose style. I may have a hard time getting all the students to read the specs carefully, since the specs go on and on with irrelevant “color” hiding the nuggets of critical information. I’m not looking forward to making the items needed for practicing the missions this year, since they are described in the same wordy way as last year (which I found difficult to follow in several places), and they haven’t even released photos or drawings of what the objects are supposed to look like. Trying to re-create the objects from the turgid assembly directions without pictures is going to be a nightmare. The contest does not have any tasks this year that need a depth gauge (but I bought a pressure sensor, so the students will measure depth! ), but they will need to determine compass headings, so we’re trying to decide whether to get a cheap compass and put it in the camera view, or add an electronic compass module to the electronics in the dry box. 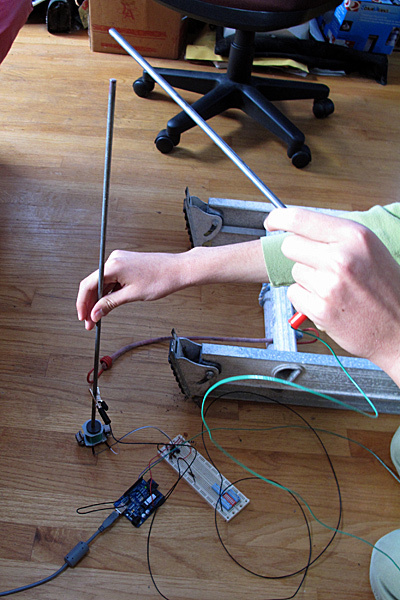 An electronic compass is definitely cooler, but we may be running out of pins on the Arduino. 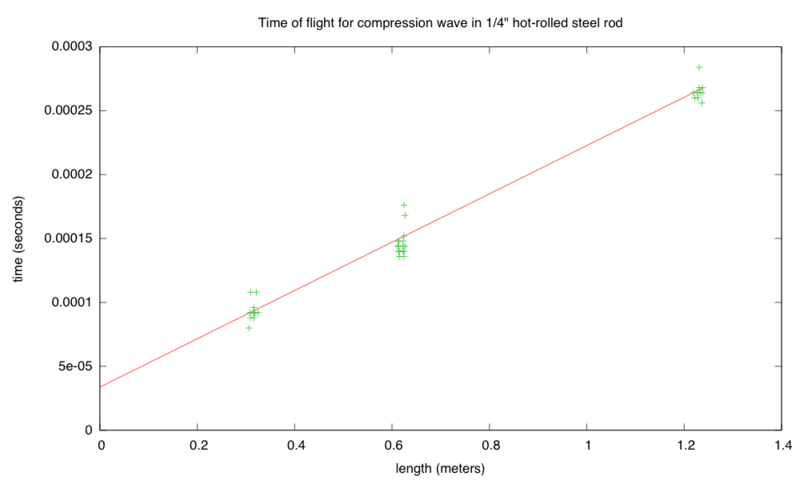 The Physics Lab 1 post described a first experiment using ultrasonic rangefinders. 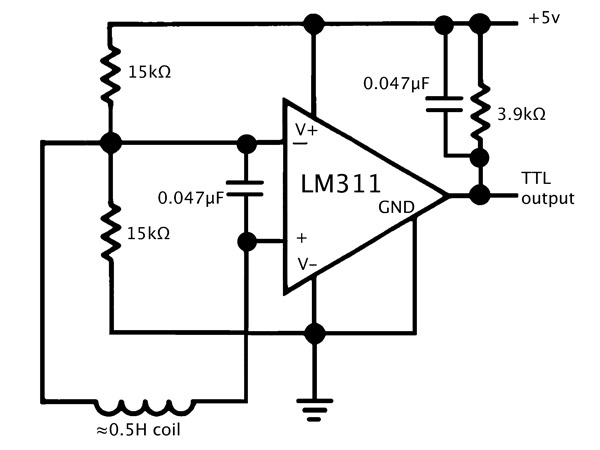 The students have not really done the Wikipedia-style writeup of how an ultrasonic rangefinder works that I wanted. I’m not sure whether to push for that or to let it slide—it is important to develop technical reading and writing skills, but they have not yet gotten to the point in the physics course where they could actually derive the speed of sound equation. The speed of sound in a gas is only vaguely referred to in Chapter 12 of Matter and Interactions, though there is quite a bit on the speed of sound in a solid. 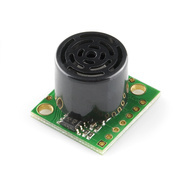 Both of these rangefinders provide a pulse-width output that can be measured with the Arduino pulseIn function call. The measurement is provided in microseconds, but seems to have a slightly coarser resolution, with measurements spaced about 5 microseconds apart. To convert round-trip time into round-trip distance, we have to multiply the time in seconds by the speed of sound in meters/second. The setup for Lab 1. 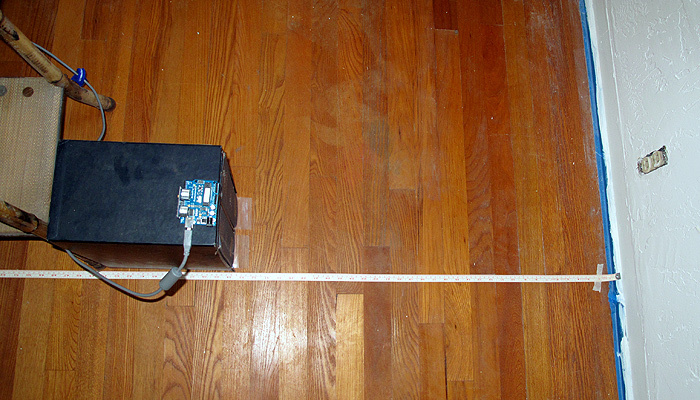 The Ping sensor is plugged directly into the Arduino, which sits on top of a copy of the OED, to get it far enough from the floor that we don't detect the floor rather than the wall. 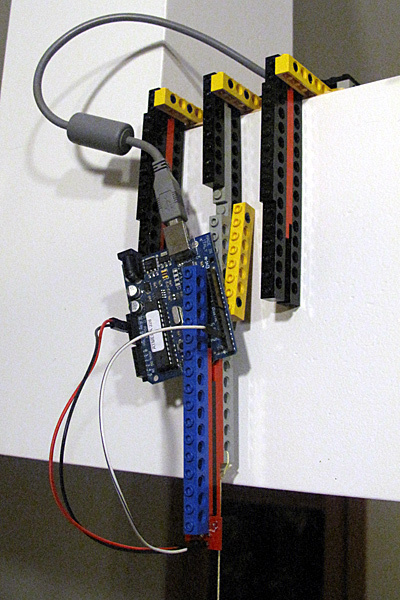 # and the minimum and maximum distance reported by the Arduino. # was twice the distance. These measurements were fairly consistent (though the variation is larger than I’d like). I did notice that the Ping))) sensor could get fooled rather badly when an object disappeared from its field of view. For example, when pointing the sensor at the ceiling from my benchtop, the distance is reported as a fairly consistent 177±0.5cm. Waving an object in front of the sensor got reasonable readings, but removing the object caused the sensor to get stuck reporting 50.5±1cm, though there was nothing at that distance. Sometimes the sensor returned to the 177cm reading, sometimes to the 50cm reading, and I’ve not been able to figure out what causes the difference. The MaxBotix sensor has different dropout problems, sometimes missing the echo and reporting a very long distance, but generally seems to be a little more stable. Plot the sensor readings vs. the actual distance. Do linear regression to get a predictor of actual distance given sensor reading. (Caveat: need to plot distance vs. readings rather than readings vs. distance to get best fit for calibration.) What is the relationship between the speed of sound and the slope of the line? What is the accuracy and precision of the measurements? What range of distances can be measured? Is the accuracy better expressed in terms of absolute error (±5mm, for example) or relative error (±1%, for example)? Fix the Arduino program to get better estimates of the distances from the sensors, if possible. 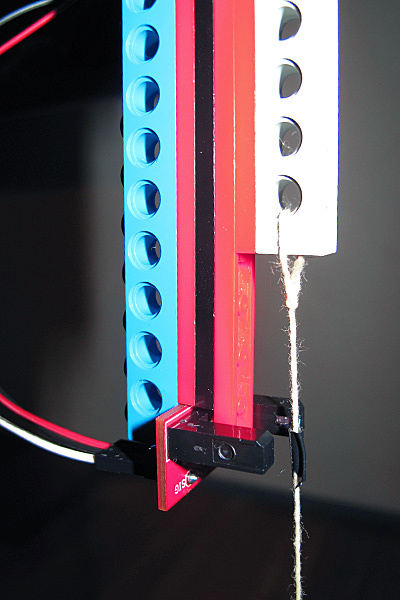 Get a recording program working to record a series of measurements of a moving object. Redo the Maxbotix calibration the same way we redid the Ping))) calibration, collecting min and max time of flight and using better distance measurements. Use either the Ping))) or the Maxbotix sensor to record the movement of a simple object away from the sensor and plot the motion. 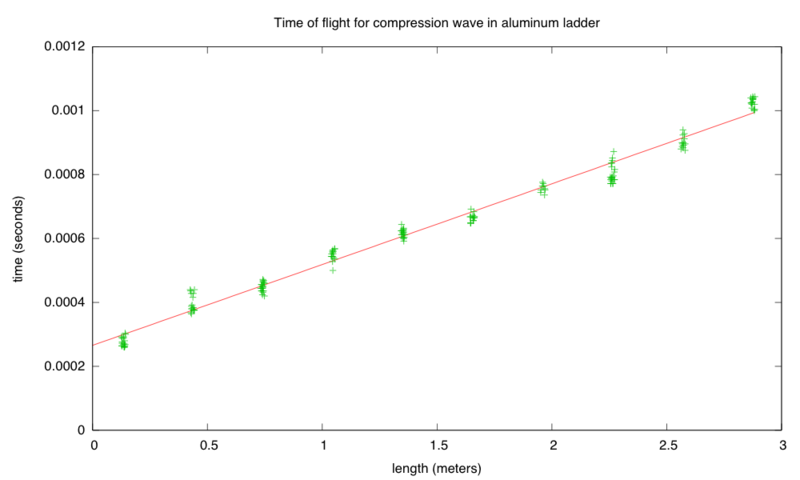 Write a Vpython program that simulates the motion, using only a few constants, not a table of positions or velocities (that is, approximate the motion as constant velocity or constant acceleration). 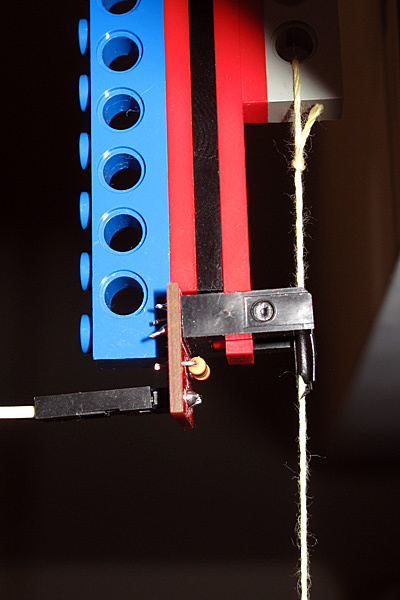 The simple object could be a small vehicle made from Lego (motorized or not), a mousetrap car, a rolling ball, a falling ball, or whatever else is easy to measure. Work problems 2P38, 2P40, 2P62, 2P63, 2P66, and 2P69.